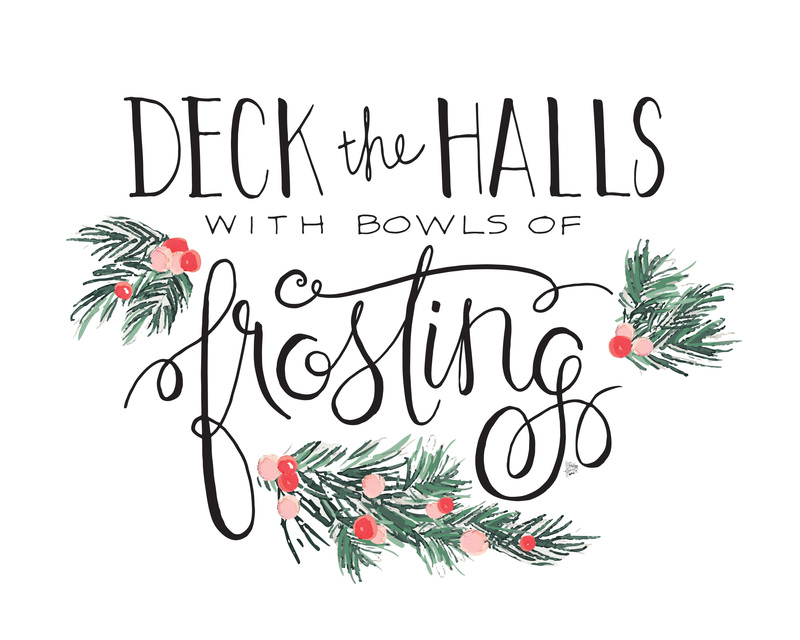 Our contributor, Jessica Kirkland of Pen N’ Paper Flowers is sharing original artwork, created exclusively for The Cake Blog readers. Happy Holidays everyone! 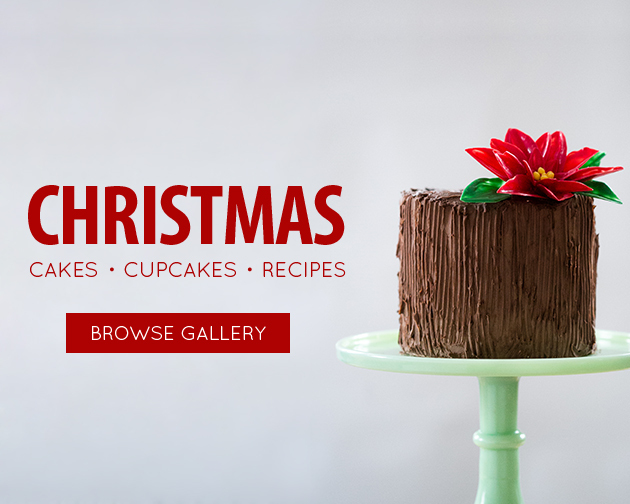 I’m gearing up for Christmas at my house and I can’t help but associate the holiday season with baking…specifically cookie baking, as I’m sure so many of you do as well. My family gathers together on one day in December to bake dozens and dozens of cookies. 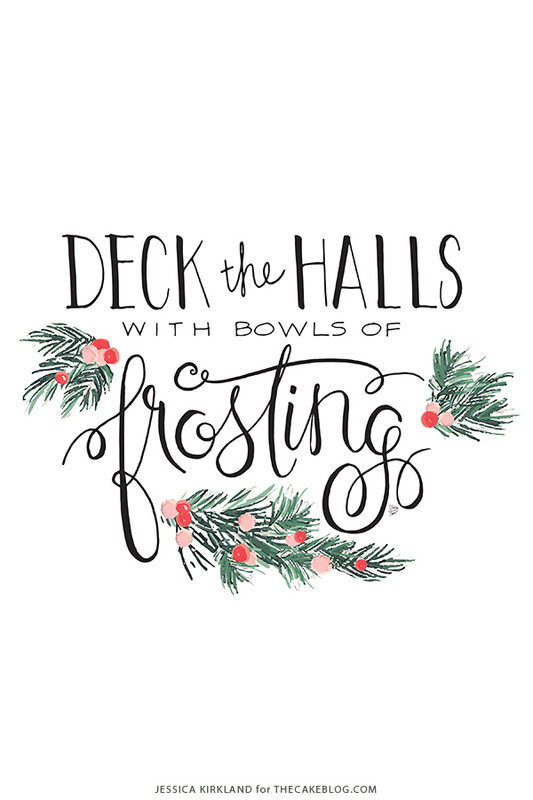 I get really excited about pulling out the sprinkles, piping bags, cookie cutters, cookie sheets, spatulas and mixing up bowls and bowls of dough and frosting. That’s where the inspiration for this month’s Art Print came from. 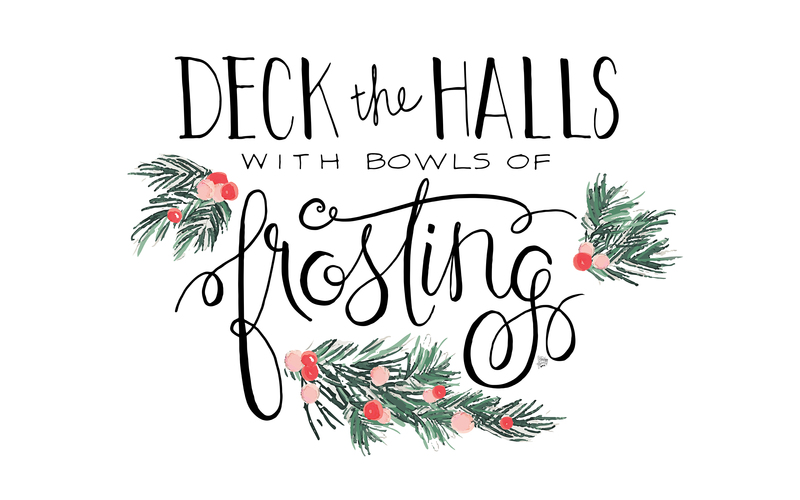 Deck the Halls with Bowls of Frosting! This thought makes me smile ­and I hope it does the same for you!! 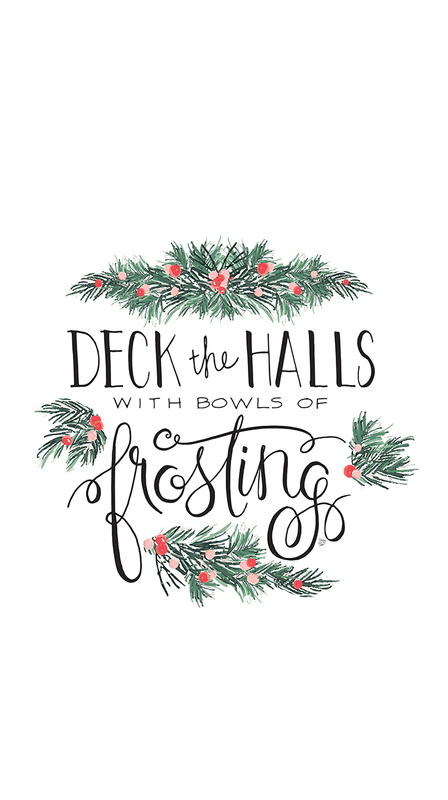 Grab your FREE downloadable 8×10 artwork to print, frame and hang in your favorite space. Or deck your digital devices with the FREE wallpapers available as well. It’ll look great on your iPhone, iPad or desktop. Android users can use the wallpapers too, just move and scale the image a little to make it fit your specific screen. 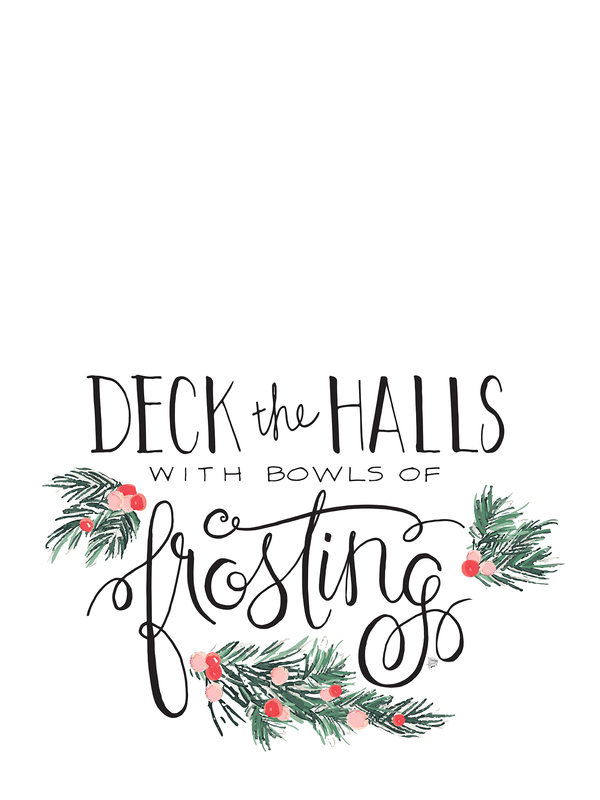 Here’s to adding a little warmth and joy to your December! I’m not a baker, never been, and I have tried many times and for some odd reason everything burns. I find so much inspiration in your blog, everything looks absolutely amazing and my mouth waters just looking at the pictures.